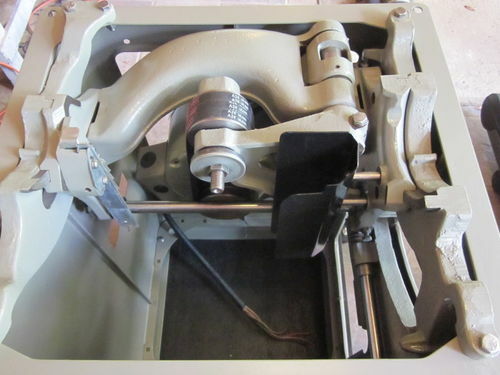 If it’s in good shape, that’s a decent saw, and $550 sounds like a pretty nice deal….it’s basically a Taiwanese Unisaw copy under the hood. IIRC, the Z originally had the Shop Fox “Original” dual locking fence (W1410), and a 3hp motor. It’ll be a right tilt saw, and was pre-riving knife, but it did originally have a traditional splitter and blade guard assembly. The BORK riving knife will fit that saw if you want to equip it with one. As with any used tools, check the overall condition for neglect and damage. Check under the hood for any cracked castings in the trunnion assembly. 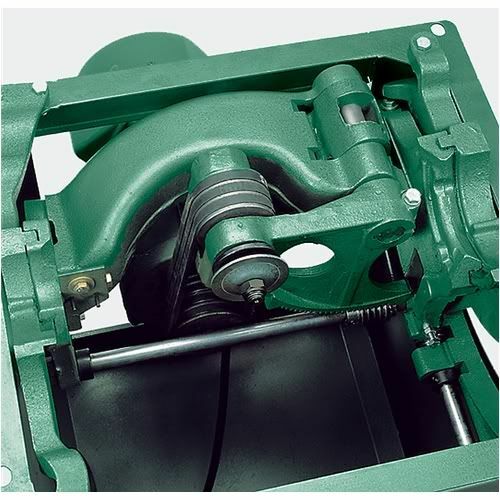 You can spin the blade by hand to listen to the bearings, but those are easy enough to replace if necessary. Check the handwheels for ease of movement too, but again, usually easy to clean and lube if needed. You can check the table for flatness, but don’t get too hung up about it….it will generally take a pretty large deviation in just the right place to actually impact the cut. Good luck, and please post back with pics if you buy it. $600-$900 is a pretty typical price around here for the Unisaw… Griz a bit less. 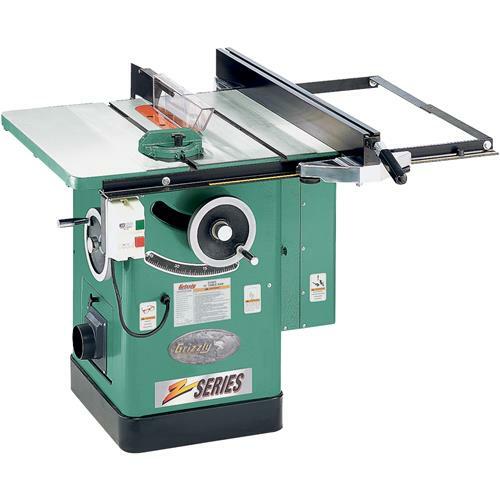 Update…....I purchased and brought home the grizzly 1023 left tilt tablesaw. Here are a couple of pics. 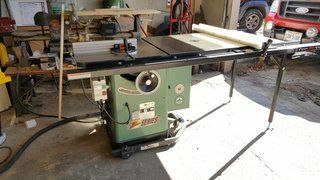 The seller included 5 extra blades, 2 miters and a movable base. All appears to be in great shape. My project list is growing. My wife actually expects me to make stuff now! That’s a nicer version than what I was originally thinking. 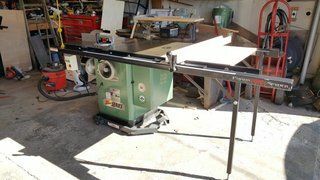 Not only does it include a router table, but it’s got what looks to be an extended Shop Fox Classic fence, plus a mobile base. Really sweet deal for $550. Does look to be right tilt to me, unless the saw is fully tilted in the pic. Now that I see pix of it I think you got a fantastical deal…keep us up to date if you find anything wrong with it. Right tilt, but that’s not a big deal.